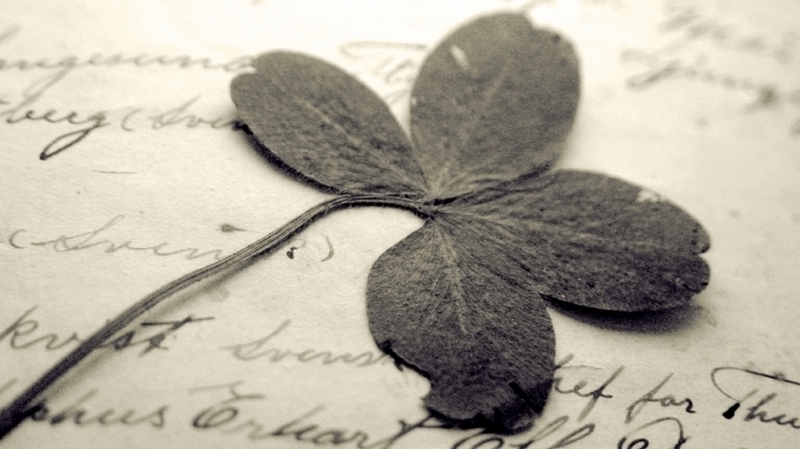 On St. Patrick’s Day 1882, during his lecture tour of north America, Oscar Wilde happened to be in St. Paul, Minnesota. He had lectured the previous evening at the Opera House on The Decorative Arts, and, on the following evening, he returned to the same venue to attended a St.Patrick’s Day gathering. St. Paul was a city with a large Irish population and the event was one of several held that day to observe the occasion. Despite inclement weather, the Opera House was full for a series of addresses on an Irish theme interspersed with vocal and instrumental selections. 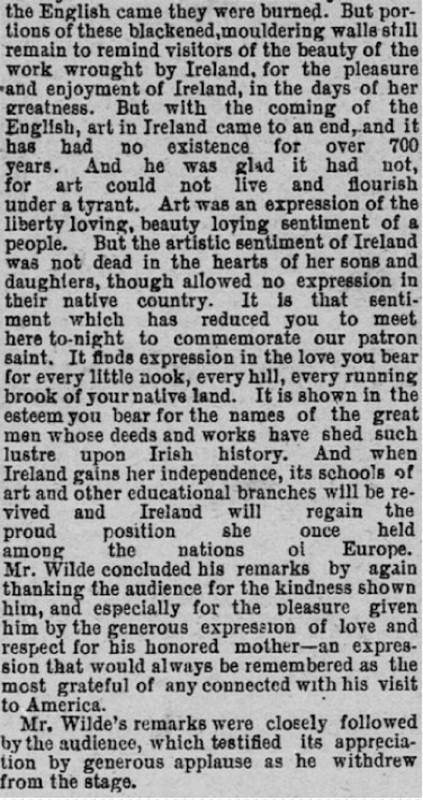 Towards the end of proceedings, Wilde was called upon to say a few impromptu words. 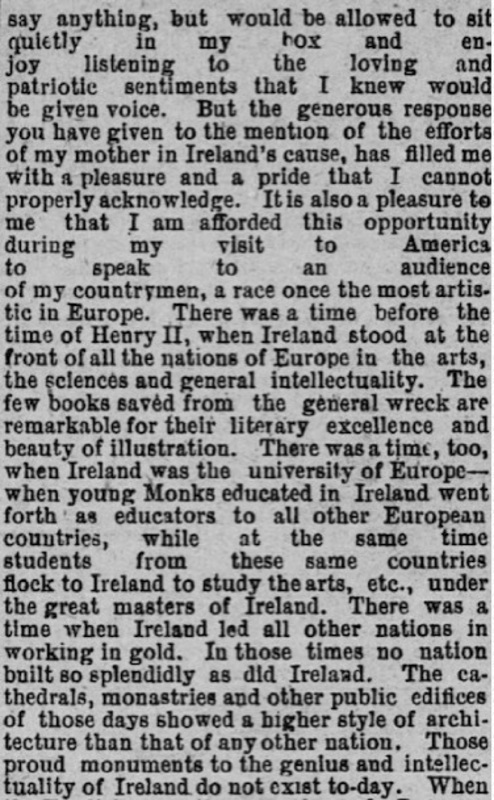 Clearly moved by the Irish sentiment abroad, and the favorable mention of his mother’s (Speranza) nationalistic poetry, he gave what can now be seen as a rare, and perhaps even uncharacteristic, speech about Irish patriotism—albeit from the perspective of the Arts. 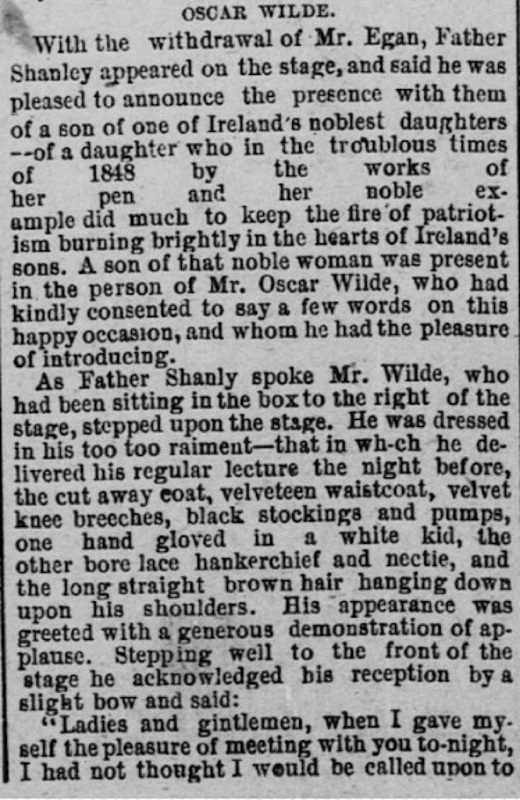 Here is a review of Wilde’s appearance at the event taken from Daily Globe (St. Paul), of March 18, 1882, page 1. Oscar Wilde’s lecture in San Francisco on Irish Poets. Happy St. Pat’s day, John C. Oscar also told the San Francisco audiences they were his favorites but that was after the Twin Cities, of course. I’m sure Oscar said that in many a city, although it’s true the further West he went, the more he liked it. He also met the most beautiful women, and woman, in America in at least six states. Thomas Wright & Paul Kinsella: Oscar Wilde, A Parnellite Home Ruler and Gladstonian Liberal: Wilde’s career at the Eighty Club (1887–1895). The article collects, contextualizes and analyzes Wilde’s public expressions of patriotism, and his staunch commitment to the Parnellite nationalist cause. These statements were far more numerous and committed than has sometimes been supposed. I agree with Tom! Not entirely uncharacteristic comments by Wilde. 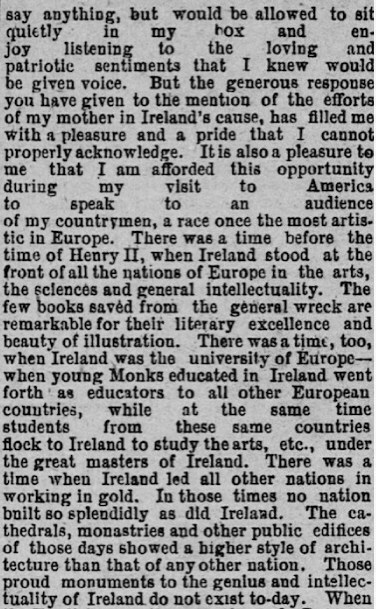 Also I did give some coverage of Wilde’s Irish comments in his UK lectures in my book Vagabond with a Mission. Thanks Tom. And thanks for giving us the expression “Parnellite Home Ruler”. I think I’m going to ask for one at the hardware store and see what they say. Yes, you’re right about my view on what is and isn’t “characteristic” of Wilde: I’m a victim of my own specialism, and I tend to view the 1882 Wilde, for whom such comments were atypical.